The Seattle area is experiencing a massive population influx, and the urgent demand for housing that accompanies it. 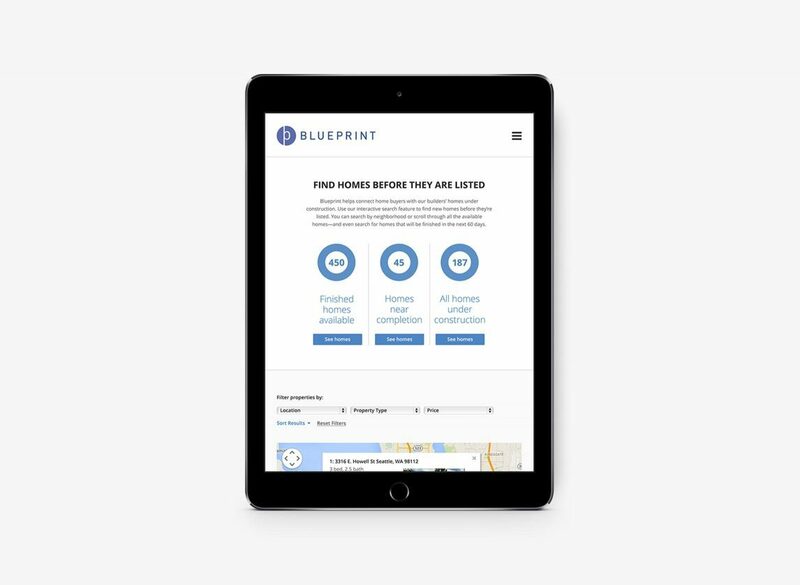 Blueprint is the market leader in residential construction lending. 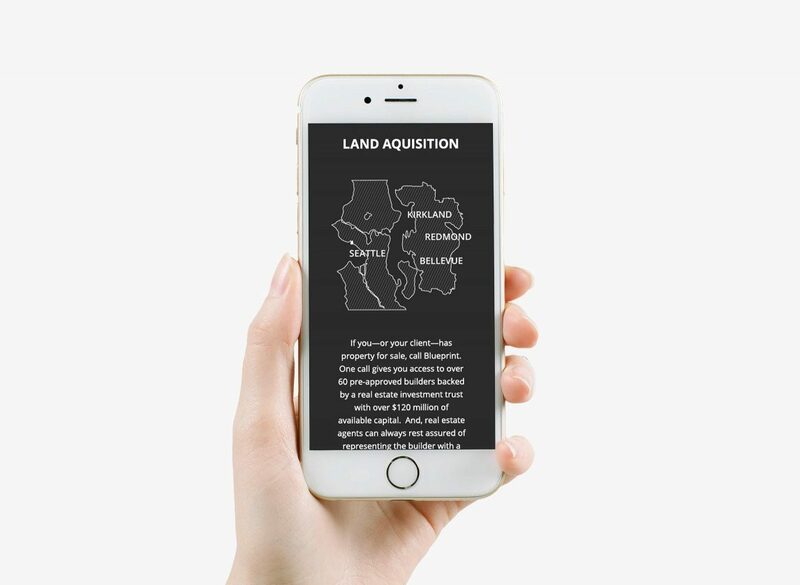 Their innovative, sustainable approach is helping regional businesses thrive and delivering high-quality real estate solutions. Their website—both its design and content—was outdated and did not reflect the progressive nature of their business model. We began by refreshing their brand story and messaging language, and then we created a modern, responsive website design that more successfully reinforces their market position. We honed in on their decades of local experience and embraced the tension between their progressive approach and their financially conservative values. 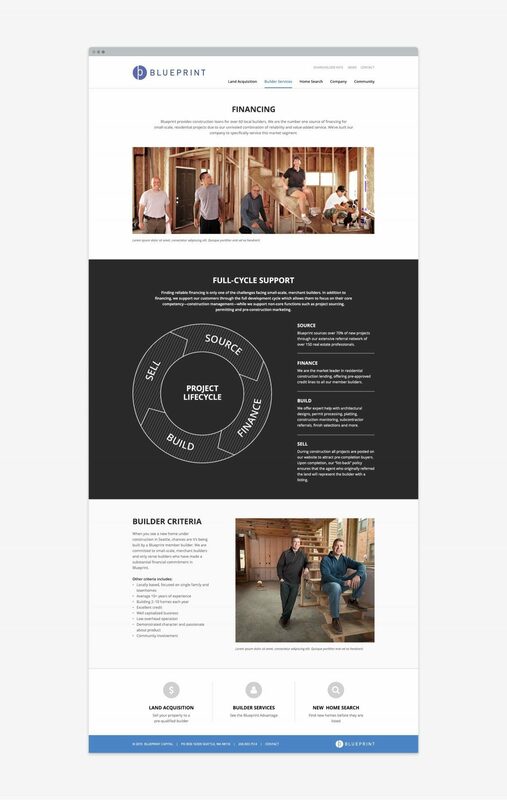 We struck that balance with a clean, contemporary design aesthetic and crisp yet conversational copy. As a lending institution, it was also important to them that the experience not appear overly hip or trendy. It had to evoke trust in a more conservative audience of investors, land sellers, builders, and even home buyers. We embraced the tension between their progressive approach and their financially conservative values.